Be sure to tell a friend, to tell a friend about Oysterville...so they can pour an Oyster, find their special place and tell their story too! Small batch, craft cocktails, gluten free, corn vodka #DoTheTasteTest compare Oysterville to your favorite or top selling vodka! Cheers!! Oysterville Vodka is proud to announce we have received The 2018 Gold Medal from The Sip Awards Competition!! 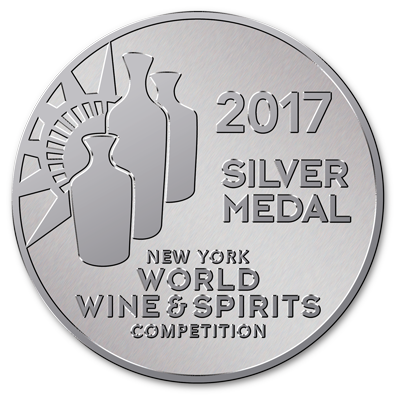 Oysterville Vodka is proud to announce we have received The 2017 Silver Medal from The New York World Wine & Spirits Competition!! Looking for an Oyster near you ...? Blueprint Brands which is a division of The Sheehan Family Companies, L. Knife & Son and Craft Beer Guild LLC are distributing Oysterville Vodka. We are distributing in MA, RI, CT and FL...Keep asking for an Oyster in your favorite Restaurants, Clubs, Liquor Stores and if we are not in them or your state...well, we are working on it! Tell a friend, to tell a friend about Oysterville Vodka! Remember to enjoy responsibly!